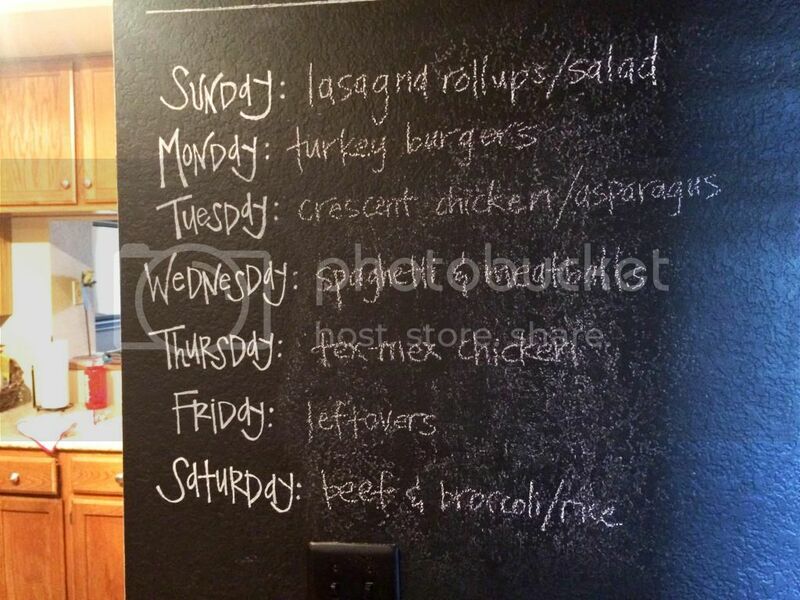 Planning out the meals for the week can be a little tricky. There are a few things I do to make it seamless. First, I consider our schedule for the week. Chris is home by 5 during the week, but on Fridays, Saturdays and Sundays, we leave to pick him up from work at 7 and don't get home until 8. On these nights, I try to have something cooked that can stay warm (in the crockpot) or that can easily be reheated. I typically have a couple evening events for my job each month, so that mixes things up, too. On the nights I work, I typically schedule leftovers. I also schedule leftovers at least once a week anyway just to allow for a break (and a hefty dose of grace) and so that food doesn't go to waste. Then, I see what we have on hand. I'm a big grocery sale shopper, so I will typically buy meats or side items when they go on sale as opposed to when I actually need them. I'll look in our freezer and see if there is anything I can throw into the rotation before I plan out the meals. This saves us money in the long run. I also check the weekly sales. I tend to plan meals around meat or veggies that are on sale for that week. For example, asparagus is usually $4.99 a pound. Last week, it was on sale for 97 cents! Needless to say, we had asparagus a few times. Next, I plug in meals I know we love. We have about 10 meals or so that are a tried-and-true fixture in our dinner rotation. I try not to have the same thing in a two- to three-week period. It's not science, but it helps mix things up a bit. Then, I plug in new meal ideas. I usually cook one to two new recipes a week to add in some excitement to this boring process and to try to find new tried-and-true recipes to add to our usual rotation. Read more about finding meals. Lastly, I write it out. 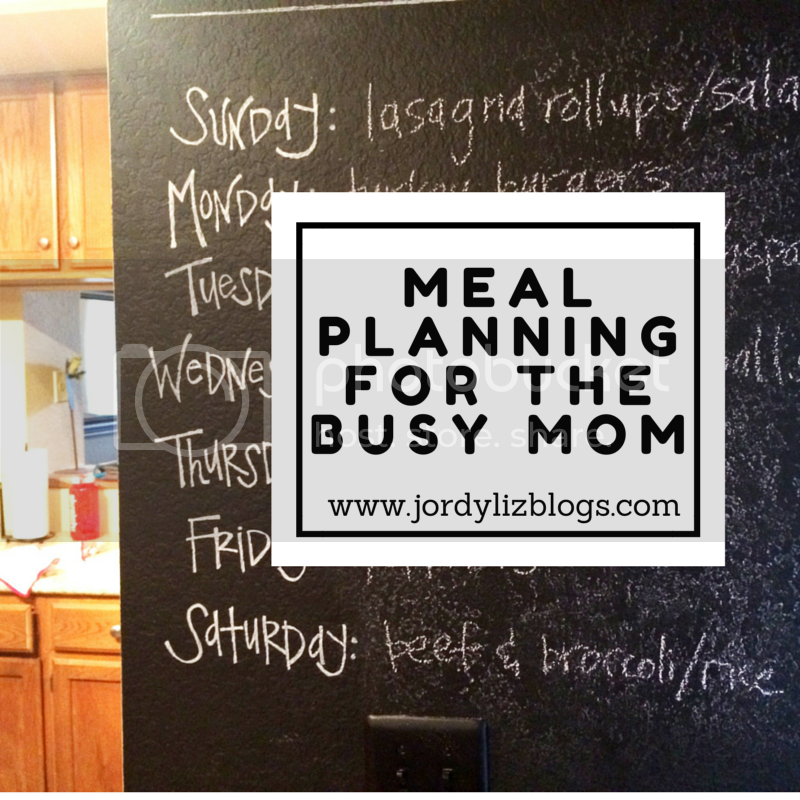 Throughout the week, I'll throw meal ideas into my planner, and then transfer them to our chalkboard wall on the weekend. It's a great visual reminder for me as I am prepping dinner and it keeps Chris from having to ask, "What's for dinner?" (He's been known to do this as early as 7:30 a.m.) If I'm really on top of it, I might even have meals planned out weeks in advance.